Nature’s elixirs, ancestral beauty gestures, a universal efficiency. 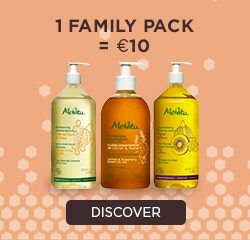 True nectars collected from the heart of nature, Melvita’s 100% natural beauty oils caress your face, body or hair in an ancestral beauty gesture. They soften, stimulate, nourish, repair, regenerate and, always, they protect. Argan oil, Avocado oil, Castor oil… Melvita invites you to choose your beauty treasure among its selection of nearly 20 oils from the four corners of the world.